If your home runs on natural gas or propane, you probably tend to take your gas line for granted. You turn the knob for your stove or use your hot water, and as long as it works the way it should, why give it another thought? The problems begin when a break in the gas line is sending natural gas into your living space. If this happens in your home, having access to a professional Sterling or Alexandria plumber with gas line experience is a must. If you’re looking for expert gas line repair and installation in Sterling, Alexandria, Reston, or another Northern Virginia community, call (703) 541-8489 today. You can have fast, affordable service and a free estimate. Your gas line deserves the utmost respect, which is why you need an expert in your home to make the necessary repairs and installation. Click here to visit our coupons page and save money. Your local utility company has done you a favor and included additives in your natural gas supply that makes it smell strongly of rotten eggs. The gas itself doesn’t have a smell, so leaving it alone would give you no warning when there was a leak that needed attention. By adding the odor, you’ll know right away that something isn’t right, and you’ll know to call for professional help. Before you even do that, you should get your family out of harm’s way, because that gas is very dangerous. Both natural gas and propane are highly flammable and pose a fire and explosion risk if met with a spark or other type of ignition. If your living space has been filled with dangerous gas, something as trivial as static electricity from your carpet could cause an explosion. If you have a gas stovetop, it’s easy to see how quickly the gas ignites when a tiny spark is added. Under controlled circumstances this is fine, but if the gas has filled the room, the situation could be deadly. Finding a high-quality team that is capable of handling gas line repair and installation is crucial to take care of this kind of problem safely and efficiently. If you already have the number handy, you can call immediately without any delay, so the repair or replacement can be made by an expert as soon as possible. 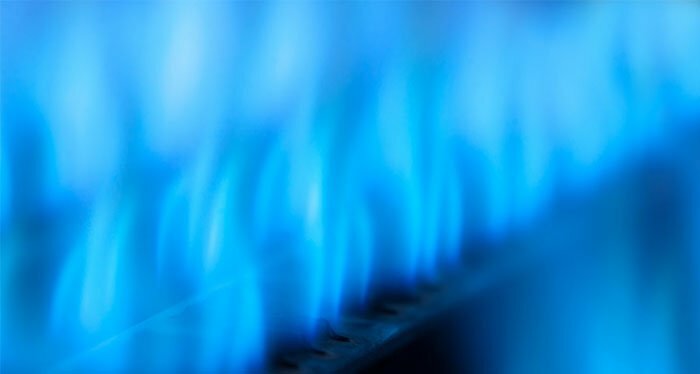 If you are looking to add a new gas line for a stove or if you are moving your existing stove, we can also help you with the installation process. The worst thing you could ever do with a gas line is attempt DIY repair or installation, so take down the number and keep it in a place that’s easy to find, but make sure you leave the house before calling. Call Cardinal Plumbing, Heating & Air Inc. at (703) 541-8489 in Sterling, Alexandria, or Reston, VA and the surrounding area as soon as you notice any sign of a gas leak in your home. Time is of the essence, and every second counts, so don’t delay.